Designed for students who would like to advance their understanding of the changing nature of international politics, and involving discussion of the impact of globalisation, the rise of global governance, the politics of human rights, and other significant topics in international politics. The increasingly global nature of political relations is typically underscored by equally global economic relations in trade, finance, migration, concern over which is reflected in questions about shifting loci of global authority from 'west' (e.g. Europe and the USA) to 'east' (e.g. China and India) and on-going relationships between the global rich and the global poor. A Research Masters in International Politics research allows students to start a fulfilling and high flying career working in international security, government departments, as a political consultant, and MPs Researcher, a Public Affairs Consultant or a Global affairs journalist. Enhance your understanding of global and international politics while also developing highly valued skills across a range of research methods. The MSc International politics (research) degree at the University of Southampton enables you to develop your international politics interests as well as cultivating your abilities in quantitative and qualitative research methodologies, research design, and independent thinking skills. This rigorous programme of study, and the specific research skills it seeks to develop, means that graduates are well placed for careers not just across a broad range of national and international political organizations, but also in areas where independent research skills are at a premium. It is also ideal for those aiming for PhD research in this field. The programme is designed both to equip students to undertake independent research in global politics and to develop skills that are of relevance to a broad range of careers in the public or private sector. Particular stress is placed on the development of key social science research skills and, as such, the programme is accredited by the ESRC. the skills necessary to design and complete a dissertation on a specialist topic in the field of global politics. This workshop explains the expectations and demands of coursework in our masters programmes, delineates the critical thinking, research and writing skills required, outlines the processes associated with literature reviews and coursework planning, and the rules about academic integrity. The workshop is designed to give practical support to students as they approach their coursework tasks, help UK/EU students understand the specific expectations we have at masters level, and help overseas students unfamiliar with higher education in this country get a better sense of what is expected. This workshop helps students begin the process of thinking about and planning for their MSc dissertation. It provides guidance on topic selection, generation of research questions, aims of the literature review, the role of primary research, dissertation structure, writing advice, and the role of the supervisor. The workshop also offers practical advice from academics about how to produce an original piece of work, the role of depth over breadth, and how to craft convincing arguments. If applying for one of our MSc programmes, please specify the option modules you intend to take, if known. In the current employment market, postgraduate qualifications are increasingly popular because of the competitive edge they give to a CV. Many of our students have recently completed bachelors degrees and wish to specialise further with a particular career in mind. The programme is studied over one year full time.. The taught programme component consists of 30 study weeks divided into two semesters, during which time students study six modules. Students who successfully complete the taught programme component undertake a three-month period of supervised research for a masters dissertation. For applicants whose first language is not English, the IELTS requirement will be an overall score of 7 with at least 6.5 in each category. Please visit our international pages to find out about the University's regulations about English language requirements and support here. We welcome applications from students with a good undergraduate degree in a relevant social science subject (upper second-class or higher) or equivalent . If you have a lower second-class undergraduate degree, you may still be eligible for admission to one of our masters programmes if we are satisfied that there is sufficient evidence of upper second-class quality in your work (judged by the range of your marks, the mark awarded for your dissertation and/or the quality of your references). We also admit some students from science backgrounds, although we may want to interview such applicants before offering a place on the course. We also welcome applications from those who have relevant work experience and/or who have been away from education for some time, and such applicants are considered on a case by case basis. The MSc comprises six modules and a dissertation. The core substantive module, International Relations Theories, provides the conceptual underpinnings, critical perspectives and empirical examples in relation to understanding global political relationships. The Research Methods core module provides the methodological training necessary to complete the MSc dissertation. In the first semester, students take three compulsory modules. In the second semester, students take one compulsory module and two optional modules. Not all modules will run each year. Students will receive guidance from the MSc coordinator in making their selection. The programme is studied over one year full time. Two option modules are taken, as listed below, per semester, to the value of 20 ECTS (40 CATS). Students will also be able to access more advanced research methods modules and other relevant social science modules (including economics) where they hold the relevant prerequisites. Not all modules will run each year. Students will receive guidance from the MSc coordinator in making their selection. The dissertation is undertaken during the summer after semester 2 ends. You may take one optional module from other disciplines from within Social Sciences. Equipment Approved calculators: If needed, candidates may use calculators in the examination room only as specified by the University and as permitted by the rubric of individual examination papers. The University approved model is Casio FX-570 This may be purchased from any source and no longer needs to carry the University logo. Printing and copying In the majority of cases, coursework such as essays, projects and dissertations is likely to be submitted on line. However, there are some items where it is not possible to submit on line and students will be asked to provide a printed copy. 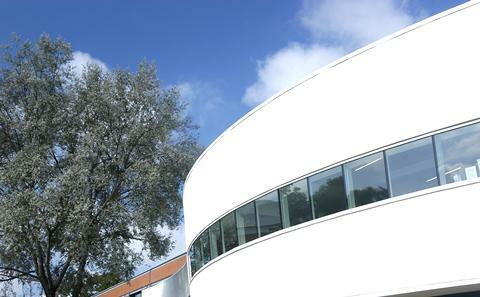 A list of the University printing costs can be found at: [https://www.southampton.ac.uk/isolutions/services/copying_for_students_and_visitors/faq.php]. Other Optional visits (e.g. conferences, museums, galleries): You will normally be expected to cover the cost of travel and admission, unless otherwise specified in the module profile. Other Illegible exam scripts: If your examination script is considered illegible, you will be asked to come in to dictate your script so that it can be transcribed. The costs associated with producing the transcript will fall to you and will be charged at £10.00 per hour. If you refuse to attend, you may be awarded a mark of zero (0). The Illegible Examinations Scripts Policy is available at https://www.southampton.ac.uk/assets/imported/transforms/content-block/UsefulDownloads_Download/3B577FE48C0B45FAA726364427668BAB/Illegible%20Examination%20Scripts%20Policy.pdf. Modules are taught using a variety of methods, which may include lectures, seminars, group work or project work. Seminars provide a forum for a closer examination of particular aspects of each module and are an important part of the learning process. Usually, it is only by discussing and questioning aspects of a subject that their full implications can be understood. Students prepare papers and lead discussions or debates, and so develop their written and presentational skills. Each module will involve one or two sessions each week spread over the semester. For each module, students will be expected to write one or more essays (or equivalent), make presentations or contribute to seminar discussions. In addition to the core and optional modules taken as part of our programmes, all our students also receive additional support and training through our bespoke MSc Workshops. In Semester 1, we run an MSc Coursework Workshop to help students prepare for their various coursework assignments, and in Semester 2 we run an MSc Dissertation Workshop designed to help students produce high quality original dissertations. Our programmes also comprise modules which feature innovative coursework tasks (as well as the traditional essay and exam formats) such as tailored policy briefings and poster presentations, all designed to hone key skills that are prized by employers.